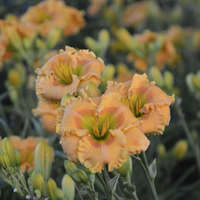 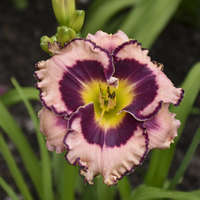 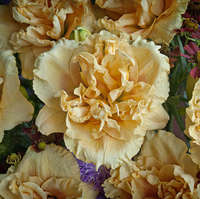 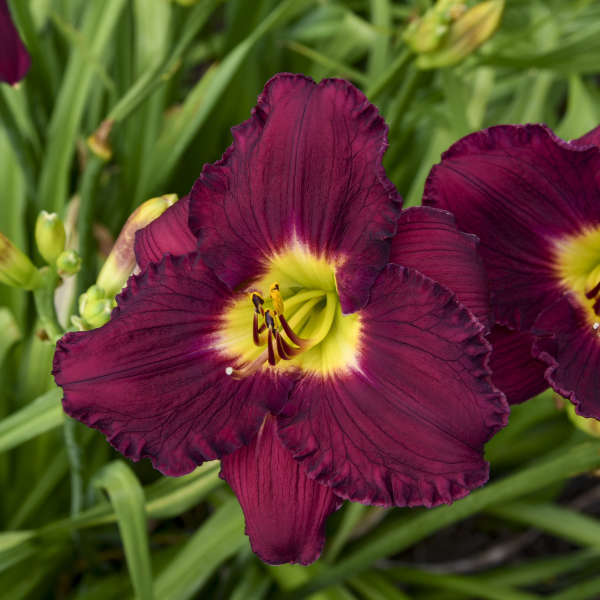 Similar to the highly regarded daylily ‘Bela Lugosi’, this variety offers a shorter height, fragrant blossoms, and more prominent veining in the oval shaped petals. 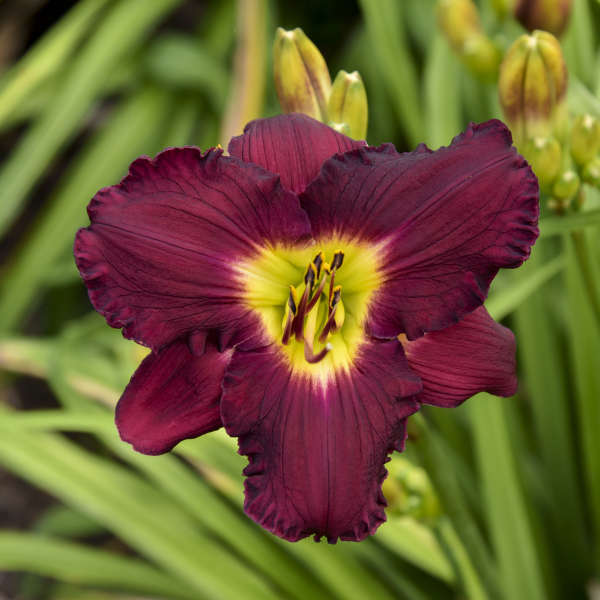 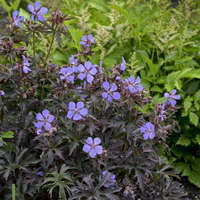 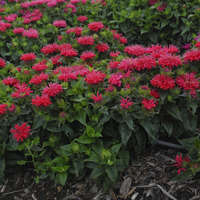 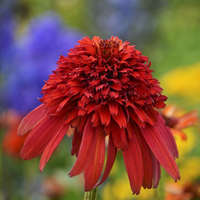 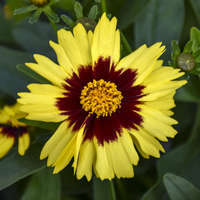 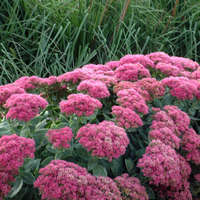 Large 6”, shimmering dark purple, very sunfast flowers with a chartreuse throat and pie crust ruffled petals are produced midseason. 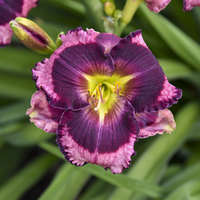 A high bud count on well-branched scapes ensures many weeks of bloom. 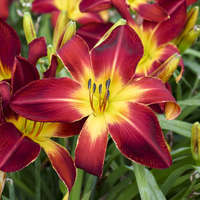 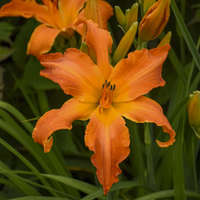 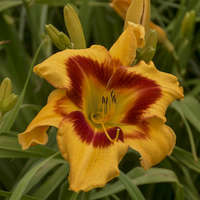 Click here to watch a video about Proven Winners® Daylilies. 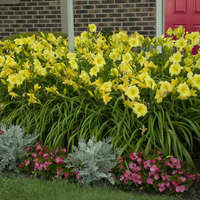 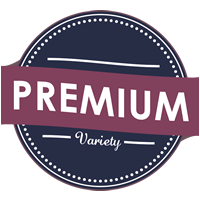 *The RAINBOW RHYTHM® trademark is owned by Walters Gardens, Inc.